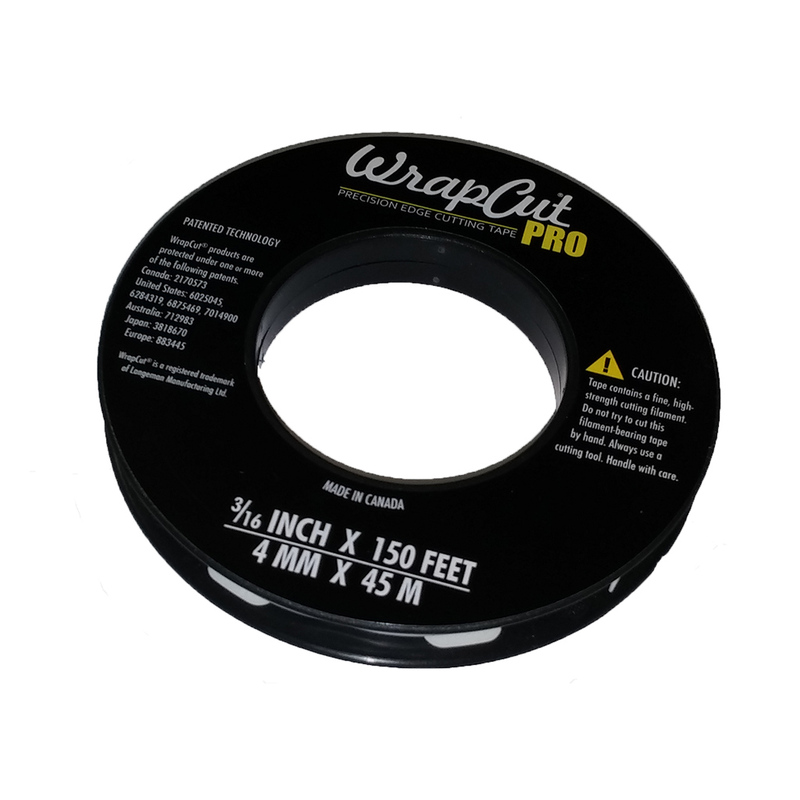 WrapCut PRO is used to make precise trim lines through many self adhesives printed and non printed vinyl and protective film products. The cutting filament is ALWAYS at the very edge of the tape, producing a perfect cut every time. WrapCut PRO is Tackier, slightly wider, and stiffer tape compared with our original WrapCut product. Produces impressively straight cut-lines. Conformable around irregular shapes and angles.